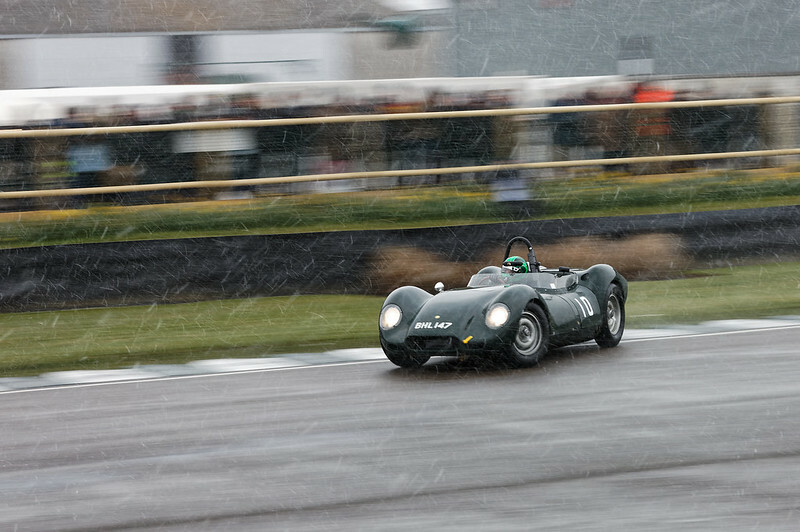 The first of the shots from the Goodwood Members Meeting last weekend. Some of the most unusual racing I have witnessed, much more graceful and flowing than usual, but they were still racing! Sometimes no amount of opposite lock can get you out of trouble! As always you are here with kind words, much appreciated, thank you. Amazingly Timed! I hope he is alright. 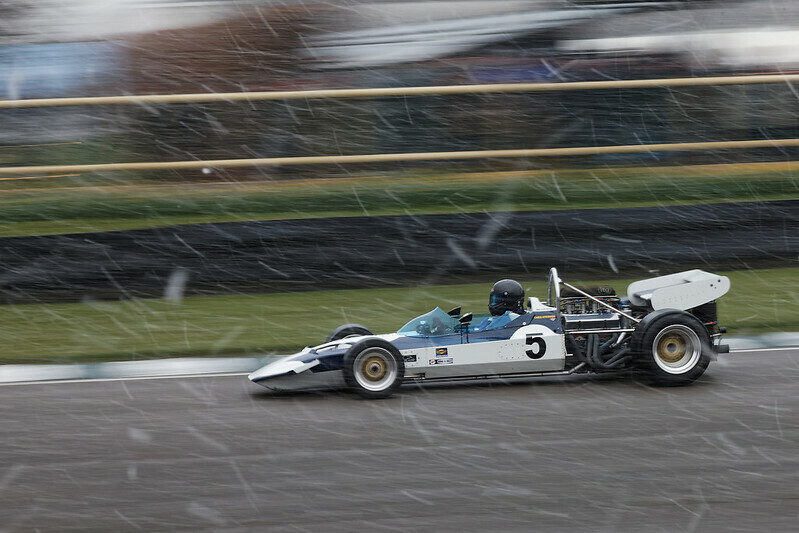 Some excellent panning shots Graham! Yes he was fine, it was a very slow graceful spin, I mean he was going quite quickly but the spin was slow, a couple of seconds to complete! The first shot shows 12:20:19 and the last shot 12:20:21. 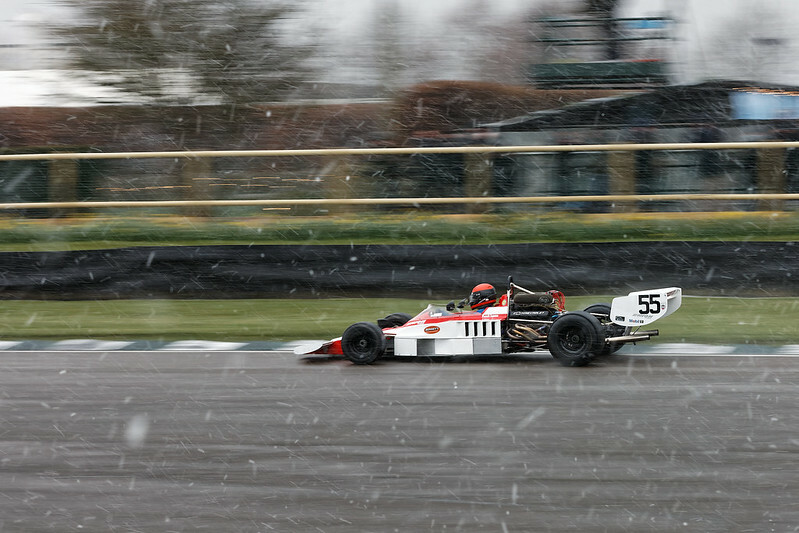 This shot is pretty much where he came to rest, there was another shot but it had the rear sharp and the front blurred, (it doesn’t take much speed differential to blur at 1/40th sec ) he waited for a gap and swung around and re-joined the race, however for the next few laps he seemed a bit more cautious! Thanks for the compliment, and hmmm, very nice weather, weeell, not so much when you are standing in it watching car racing, though it did make for some different shots from usual! I appreciate your excellent panning technique. 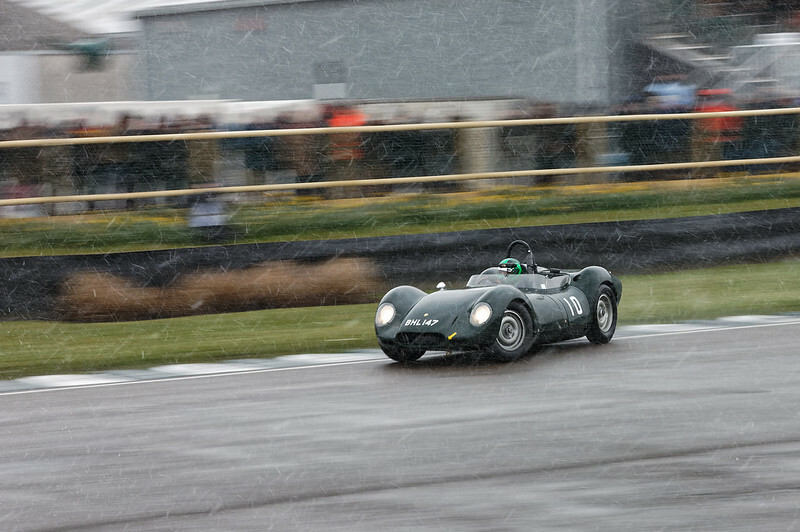 Especially at 1/40th second, very well done. 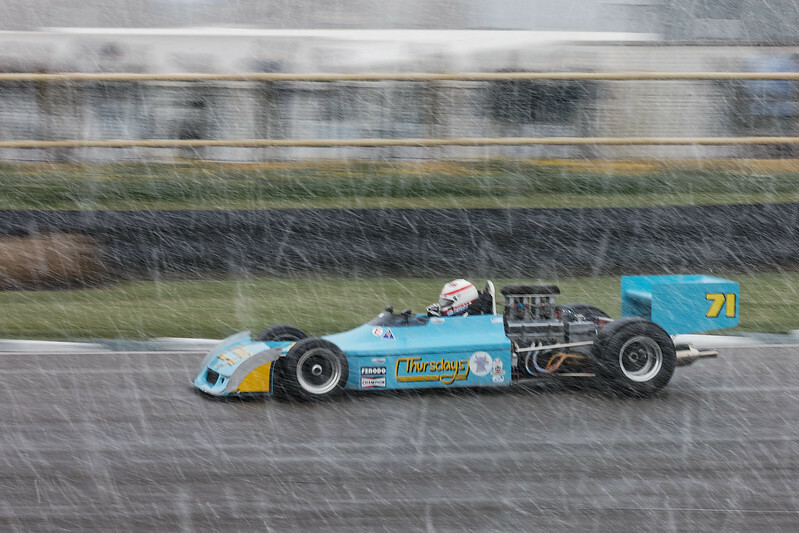 Crazy weather conditions you and your equipment endured. 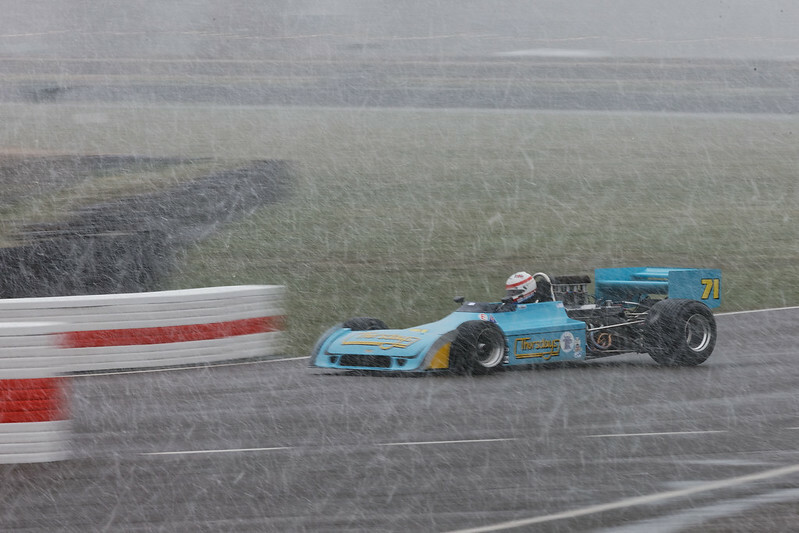 It's scary to see those rare and historical race cars in those weather conditions, at speed. Here in California, we have the Monterey Historic Automobile Races. Someday my wife and I like to witness the Goodwood event, with the addition of aircraft and motorcycles. But back to your photography, excellent panning technique. Thank you for sharing. excellent set of images ! Beautiful series, Roo. Well done. 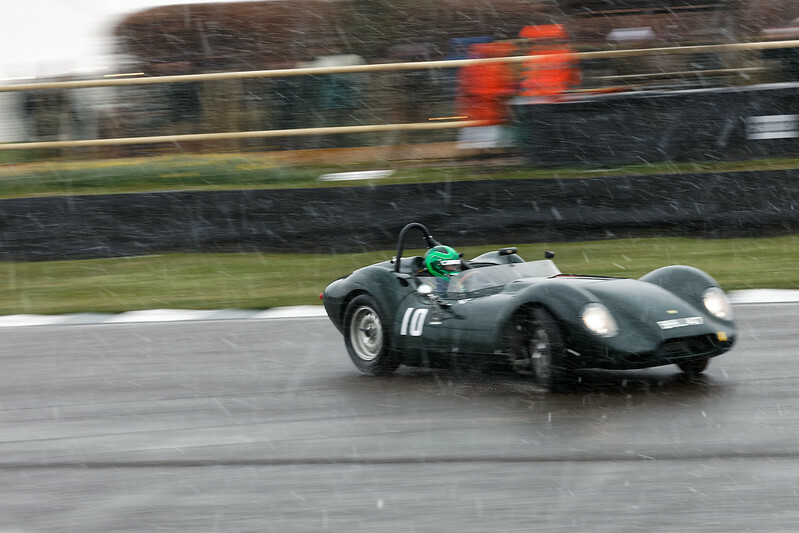 Great photos Graham, I must get back to Goodwood one day, looks like it was fun, if on the cold side! Nice series Roo, particularly like the first. Thank you for your praise, though I’m not sure I’m worthy of such high praise, I think there is a large dose of luck involved. 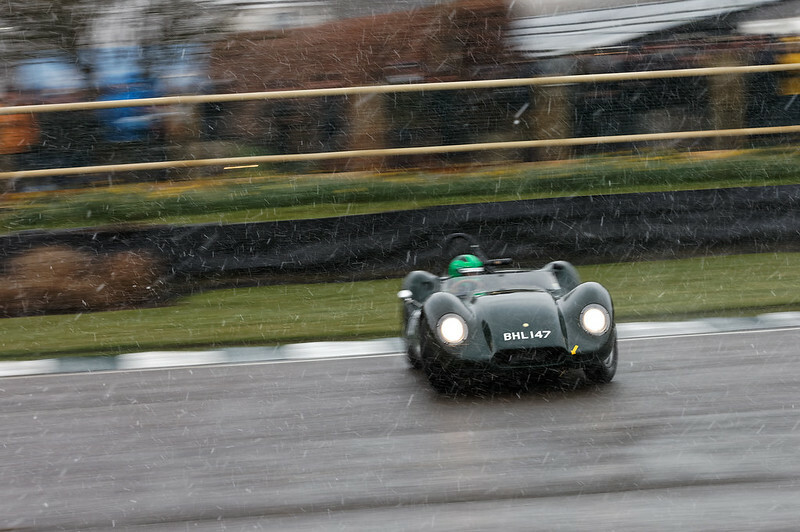 I took 550ish shots and have got down to 160ish left and some of those are paddock / pits shots so no panning there and a good number of those left are not that sharp, but catch something of interest, the rest were “should have gone to specsavers” shots, so blurred that you could barely make out the subject! As for the cars, yes they were racing, no one could deny that, but they were being much more restrained than usual, it was almost balletic watching them! Is the Monterey racing televised? 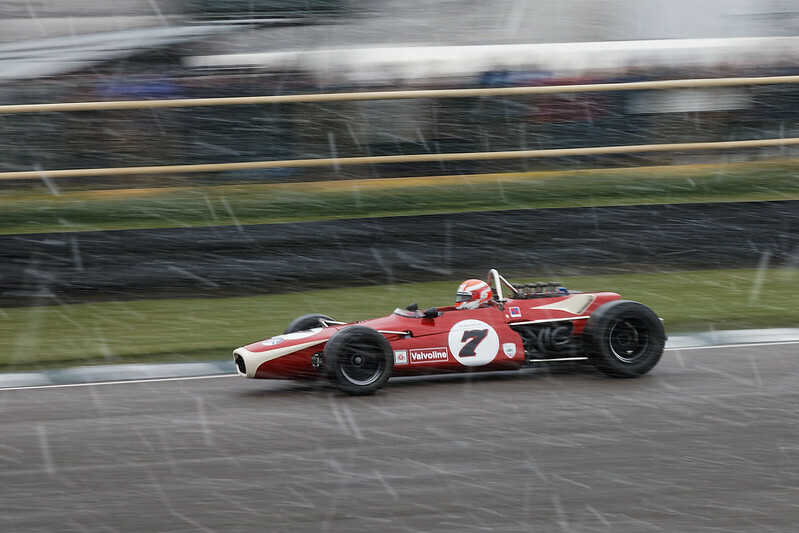 It would be nice to see some historic racing from somewhere else! Goodwood is covered on satellite tv, can’t remember which channel. If you are coming let me know, it would be great to meet up.